Each time a child or teen participates in our programs, they add one more skill, experience, or lesson to their ever-growing knowledge base. Participating in activities at the Club helps them to grow and learn in ways that put them in the best position to realize their full potential and make their dreams a reality. All Club programs are based on the theory that by combining the five key elements of positive youth development with high-yield learning activities, youth who attend the Club regularly will be able to realize success in our priority areas. With staff providing members with a safe and positive environment, supportive relationships, fun, opportunities and clear expectations, and recognition for achievements large and small, we follow best practices for positive youth development. 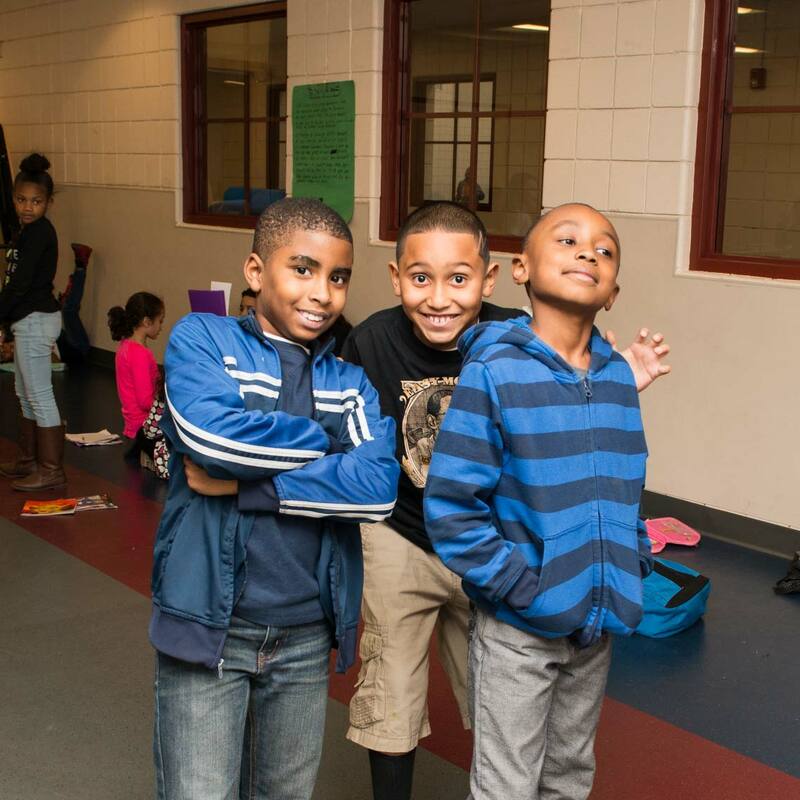 Studies have found that youth who attend Boys & Girls Clubs for a minimum of one day a week achieve positive outcomes in a number of areas. They are more likely to have higher levels of community service involvement, increased levels of integrity, decreased levels of shyness and aggression, increased academic confidence and effort put forth in school, increased levels of future connectedness, and decreased likelihood of starting to carry a weapon, smoke cigarettes, drink alcohol, smoke marijuana, or be stopped by the police. The same studies found that the more often youth attend the Club, the greater the results of these positive outcomes become. It is important to us that our members are well-rounded with the skills to take on any challenge that faces them in life. In keeping with that goal, we offer a holistic array of programs focused on helping youth build countless skills and experiences which help them dream big and then take on the world! High school graduation is a goal we work with all of our members to achieve. Each afternoon as youth enter the Club, they all know the first place they need to go is to their assigned homework rooms. We want to make sure all members have fun while at the Club, but we also know that everyone will be more relaxed if homework assignments are taken care of first! 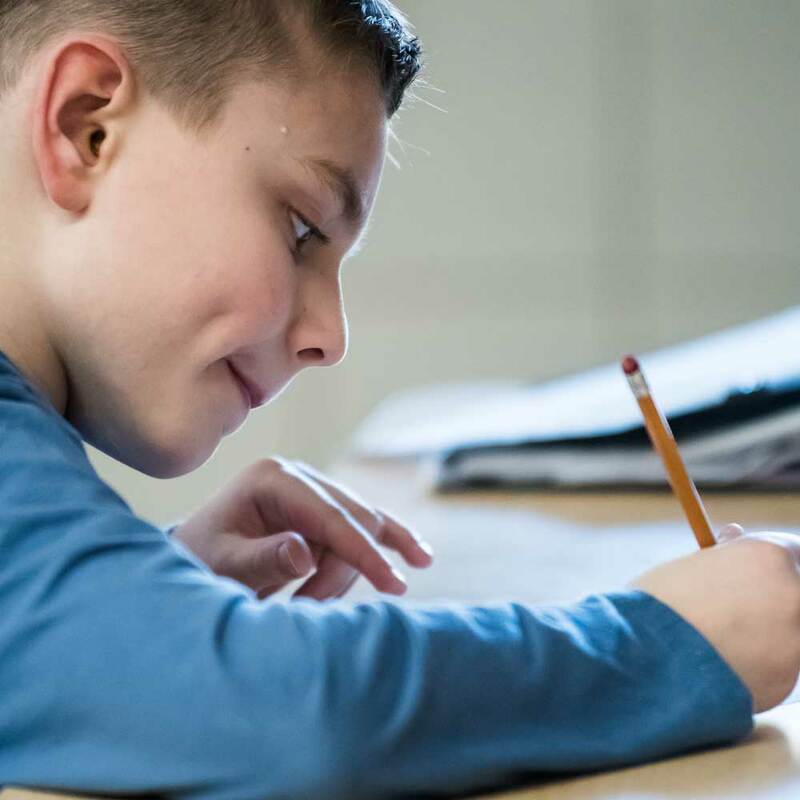 With a well-trained and caring adult assigned to each homework group, members ages 6-18 are able to work through their school assignments with any help they may need. For youth who arrive at the Club with no homework assignments, we provide fun and educational activities for them to complete before they move on to other Club programs. While the quiet hum of hundreds of youth completing homework at the same time is the most visible example of education at the Club, we weave learning opportunities into everything we do. From science programs and activities, to lessons in our technology labs, to summer learning loss prevention programs, and so much more, we offer direct education programs in addition to high-yield learning activities which allow youth to practice communication skills (reading, writing, speaking) and problem-solving skills (math, science, technology). We also offer specialized programs for teens including college and career counseling. At the end of each day, ask any member what they learned at the Club today – just be prepared for a long list! With so many opportunities for our members to take advantage of, our incredible dedicated art spaces in our renovated and expanded Clubhouse are no exception. We provide members with the ability to explore creative expression throughout the after-school hours with the opportunity for hands-on lessons in a variety of media. Enter our art room and you will find dozens of youth working away on a variety of creative endeavors. Surrounded by amazing windows letting in natural light and providing an inspiring nature view of trees, the river, and guest appearances from local wildlife, members paint, draw, collage, and sculpt. Walk down the hall and you will hear the sounds of music and laughter coming from the dance room. On any given day, youth can be found in this room dancing to the latest pop song, memorizing the steps to a classic ballroom dance (lessons started at the request of our members), exploring other cultures through traditional dance (hula lessons are a particular hit) practicing yoga, or cheering on their friends as they freestyle in a friendly dance-off. Across the hall are the music rooms. 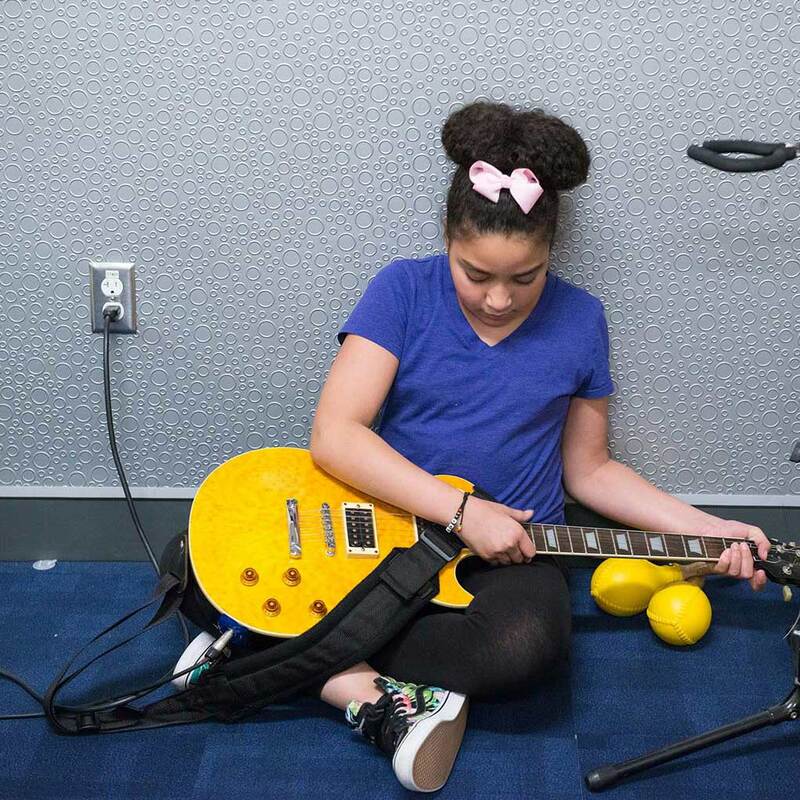 Club members are able to learn music theory, experiment with different instruments, take more advanced lessons as their skills develop, and enter our control booth to compose, edit and record their own music. This state-of-the-art control booth also provides the lighting and sound controls for our performance space, an area with seating for 100 guests to watch one of the many productions our Club members work to put together, from drama projects to talent shows, the youth who participate in our arts programs love to share what they are learning with their peers. Participating in these programs enables youth to develop lateral thinking skills as well as their capacity and cultural awareness through knowledge and appreciation of the visual arts, crafts, performing arts, and creative writing. The arts also provide members with a creative means of communication, giving them a safe outlet to express themselves in a positive way. We strive to empower youth to support and influence the Club and our community. For many of our long-time Club members, volunteering comes as second nature to them. Our members always take the time to ask staff how they can help or if there are any special projects which need to be done. And you will just as frequently find members running fundraisers at the Club to support their latest project as you will find them engaged in the community giving back through a variety of activities. Our members learn not only to contribute to their community through service, they also participate in programs and activities focused on expanding their knowledge of the political and social realities of the world around them (locally, nationally and globally). We are lucky to have members from a wide array of cultural and ethnic backgrounds who are able to bring experience and knowledge to bear both in program discussions and during casual conversations, they strike up while engaged in other activities. While attending the Club, members learn to sustain meaningful relationships with others, develop a positive self-image, participate in the democratic process and respect their own and others’ cultural identities. Through leadership clubs and community service activities to global and social awareness programs, members have access to the tools they need to develop into educated, informed and contributing members of our society. If you are not new to the Club, you may have heard our programs referred to as “swim and gym” at some point in the past. But the Club is so much more than that! Within our Healthy Lifestyle programs, we offer members a holistic approach to building the skills and habits needed to live a healthy life. 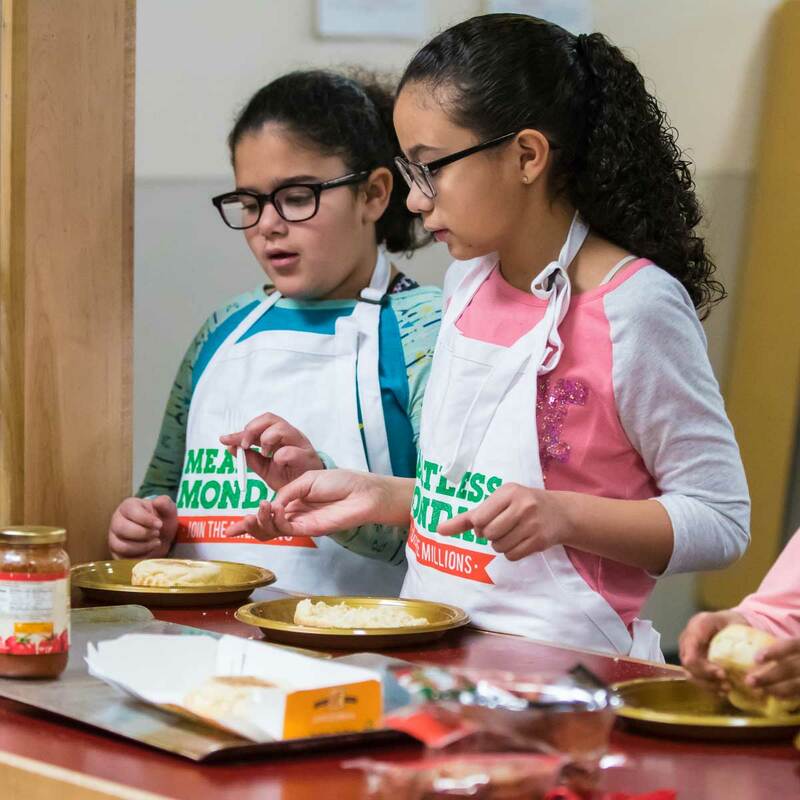 One of our most popular after-school healthy lifestyle programs is our healthy cooking class. When you enter the Club on cooking day – the immediate aroma of something delicious alerts you to that fact! Members use produce they grow in our Club gardens to cook delicious and nutritious meals they can recreate at home by themselves. We also run several programs to help our members engage in positive behaviors which nurture their own well-being, set personal goals and live successfully as self-sufficient adults. With activities aimed at helping them navigate the difficult world of adolescence, as well as helping them develop and reinforce a positive self-image, we work to deliver lessons which are tailored to the rapidly changing world our youth are growing up in. And with all of these new programs, we haven’t eliminated swim and gym – we offer a wide variety of recreational sports programs which help youth in developing a sense of fairness, positive use of leisure time, skills for stress management, appreciation for the environment and social skills. Members can participate on a daily basis in gym activities or sign-up to spend the season learning skills in one of our sports leagues.